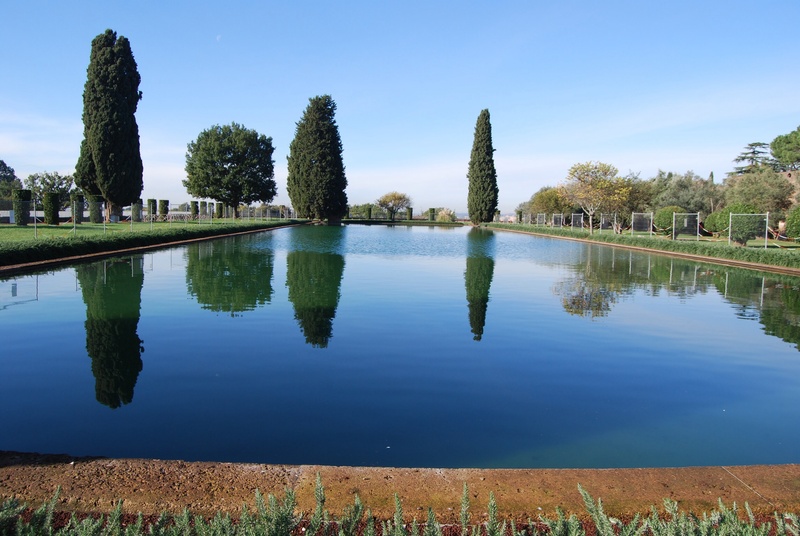 With my very first step into Hadrian’s villa in that early, frosty, morning air I was glad that Frank had remained adamant in regards to today’s day trip to visit Hadrian’s Villa and Tivoli Gardens. I was so wrong in assuming that these beautful gardens flourished only in spring and summer. While certainly they were not at their best during the colder seasons, there was an almost magical quality about both of these places. It was like coming across a fairy or an elf during their sleep. While beautiful to behold even in their slumber, how could I not be in awe of such grace and quiet beauty. As a child, my favourite fairy tale had always been The Nine Dancing Princesses. It is a story of nine princesses, all sisters who much to their father, the kings disdain, completely wear out their shoes in the course of only one day. Each morning, he would find that all of his daughter’s shoes were worn and in need of replacing. And the answer to this mystery was that each night, they would secretly escape into through an underground tunnel into a beautiful land where trees dripped with emerald jewels and golden leaves. And there, the princesses would dance the night away at a grand ball with handsome princesses in a setting so rich and beautiful, the very description of it, has not been lost on me even after all these decades. And so, I can honestly say that for all of my life, I have wondered what it would be like to walk in a place just like where the nine dancing princesses danced their nights away. 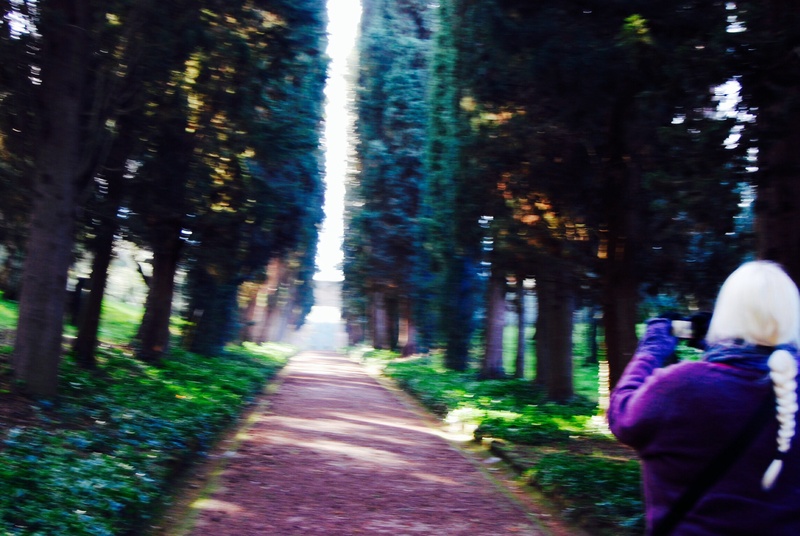 And it was here, in Hadrian’s gardens where I began to feel for the first time, that I felt a sense that I was indeed walking on their enchanted grounds. Now of course, reality dictates that there is no such thing as a tree being encrusted with gold leaves and dripping emerald jewels. However, I was in fact walking among olive trees, which may not quite as exotic as in the fairly tale, but no less intoxicating to one who has never been up close to one before. As someone who has loved olives for all her life, and buys her imported olive oil by the gallon, a close encounter is altogether a savoury experience in the real world. 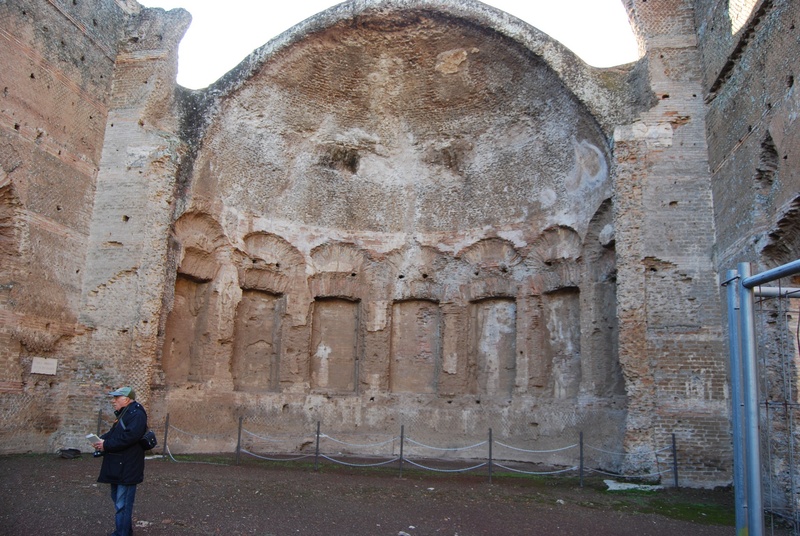 Further, the architecture of Hadrian’s villa was indeed palatial. 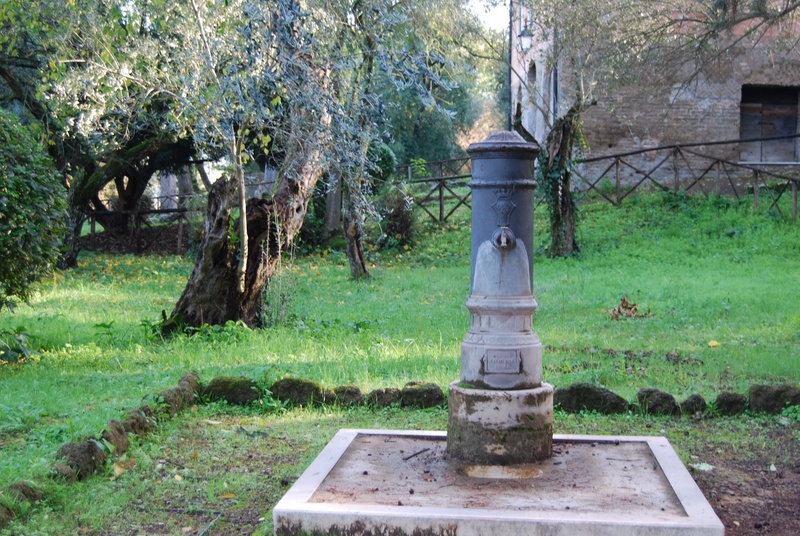 Although the remains of the buildings are only remnants of walls, pools, and the occasional set of stairs it is easy to get the sense that they indeed were once the property of an important ruler, or in this case a Roman Emporer. 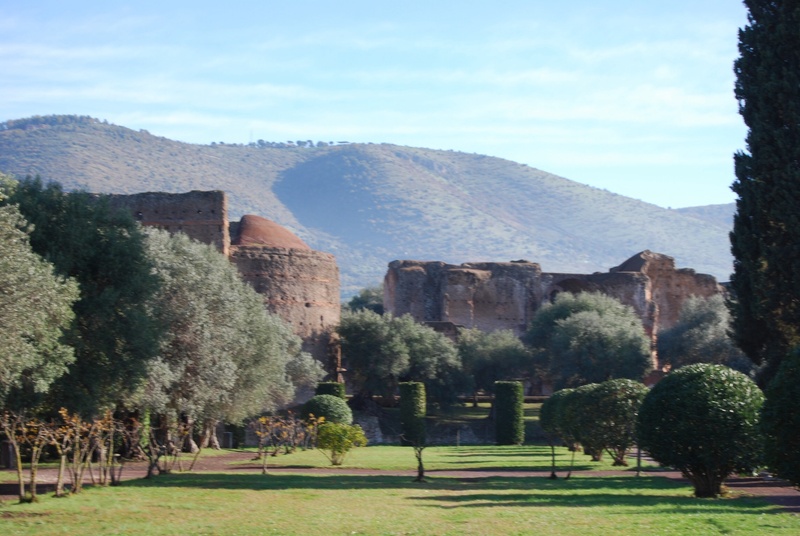 I would very much like to return to Hadrian’s villa one day, but this time I would like to spend more time to explore in detail all that which a day tour on a schedule cannot allow. 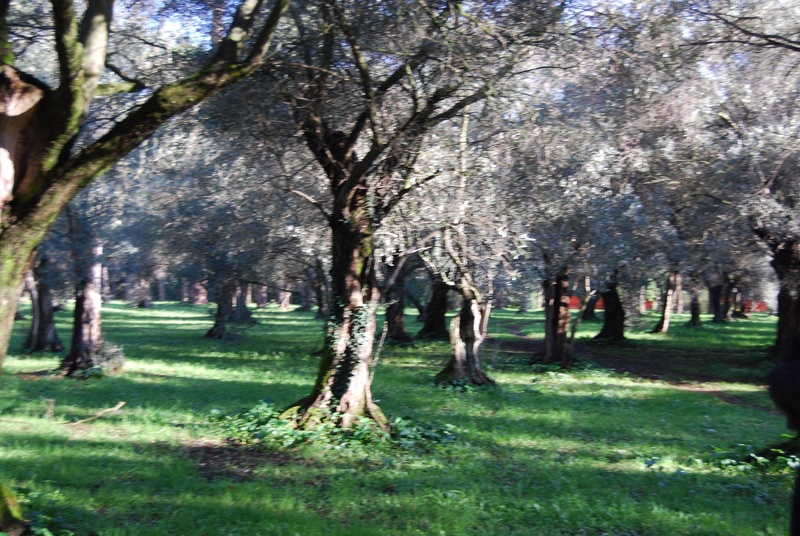 Not to mention, that I would truly love the opportunity to maybe dance among the olive trees.